vigorous. Mild flavor gets sharper as the leaves mature. 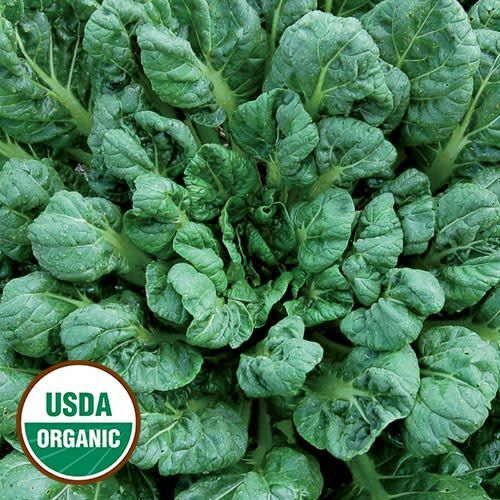 Popular as a baby leaf for salads; also excellent when added to soups or stir-fries. Cut leaves as needed at any stage or harvest the whole head. 21 days baby greens, 45 days.